Get the link by email for each issue: click here. Cross-posted from Rorate Caeli. Events such as this have been uncommon in Spain and we are delighted to report on this initiative. From Thursday the 28th of June through Sunday the 1st of July took place the 1st edition of the Family Retreat ‘Vayamos Jubilosos’ for people attached to the Traditional Liturgy of the Roman Rite in Spain. This is the first time ever that such an initiative to deepen the knowledge of the Mass of Ages and the values and principles of Christendom occurs in Spain. Cardinal Castrillon Hoyos died yesterday. He deserves our prayers. He was President of the Pontifical Commission Ecclesia Dei over the period of the promulgation of Summorum Pontificum, obviously a very important time for those attached to the Traditional Mass. 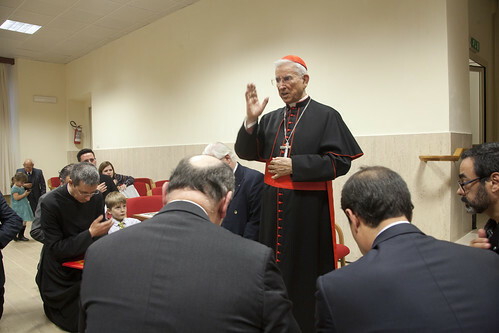 In the photograph above, he is blessing delegates at the Foederatio Universalis Una Voce during the General Assembly of 2013; below, he is celebrating Mass (Pontifical Low) for them in the Blessed Sacrament Chapel of St Peter's in Rome in 2011. 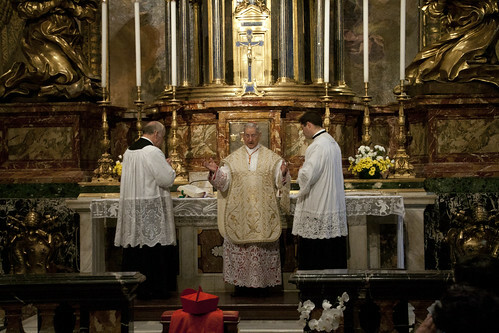 That was the first time a Cardinal has celebrated the ancient Mass in St Peters since the liturgical reform. There is an obituary of him on Rorate Caeli. Pope Benedict XVI foresaw the inclusion of new saints in the calendar of the Extraordinary Form. This does not imply that this Form will cease to have a distinct calendar; calendrical differences have always been a feature of the Church’s liturgy. The EF Sanctoral Cycle is distinctive in having a greater number of feasts than that of the Ordinary Form; of including a large number of very ancient saints; and of commemorating the miraculous. In these ways it reflects the spirit of the Form as a whole, manifested both in its proper and its ordinary texts. 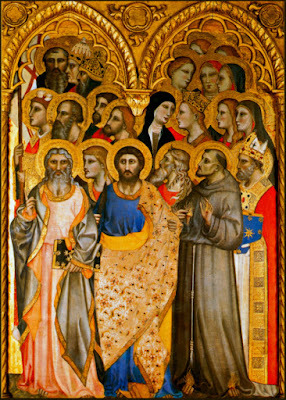 Here we find a concern with the intercession, rather than of the example, of the saints, and for continuity, which the ancient saints in particular exemplify. When looking to create room for more recent saints to be included, it can be asked if the more modern saints of the 1960 calendar could more appropriately be included in local calendars, than in the Universal calendar. . . . . . . . . The 33rd in the FIUV Position Papers series, called “The Sanctoral Cycle of the Extraordinary Form” is now available in the FIUV Positio section. 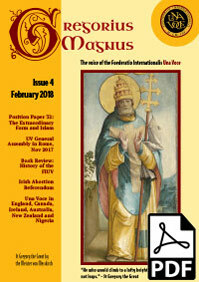 The FIUV is now reviving the publication of its magazine, Gregorius Magnus, which can be downloaded here. (See also the webpage maintained by Una Voce Russia for the past issues). “A renaissance will come: asceticism and adoration as the mainspring of direct total dedication to Christ will return. Confraternities of priests, vowed to celibacy and to an intense life of prayer and meditation will be formed. Religious will regroup themselves into houses of 'strict observance'. A new form of 'Liturgical Movement' will come into being, led by young priests and attracting mainly young people, in protest against the flat, prosaic, philistine or delirious liturgies which will soon overgrow and finally smother even the recently revised rites..."
An Appeal - Please Help the Work of Una Voce. Since Pope Benedict XVI promulgated his motu proprio Summorum Pontificum in 2007 the work of the International Federation Una Voce has increased dramatically. At our biennial General Assembly in Rome in November 2009 we enrolled six new member associations and are currently dealing with a large number of applications and enquiries. 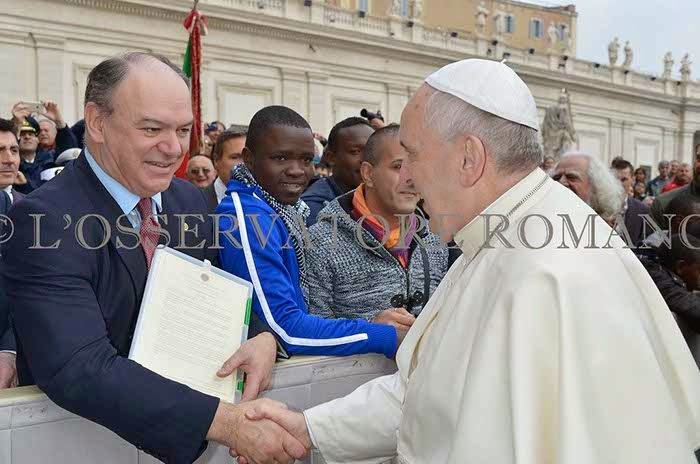 Former President, Colonel James Bogle, met Pope Francis during the visit of the FIUV Delegation to the Holy See in November 2014 and presented to the Holy Father a copy of a report on the emergence of young people in the traditional movement and at masses in the Roman rite. The report was presented in Spanish for the Holy Father. 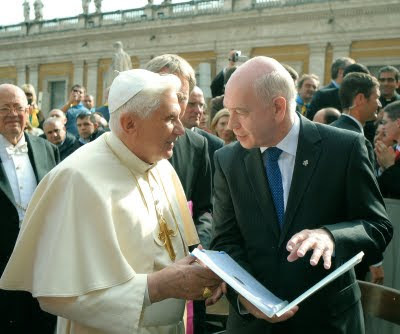 Mr Leo Darroch, then President of the International Una Voce Federation, making a presentation to the Holy Father, Pope Benedict XVI, in 2011. 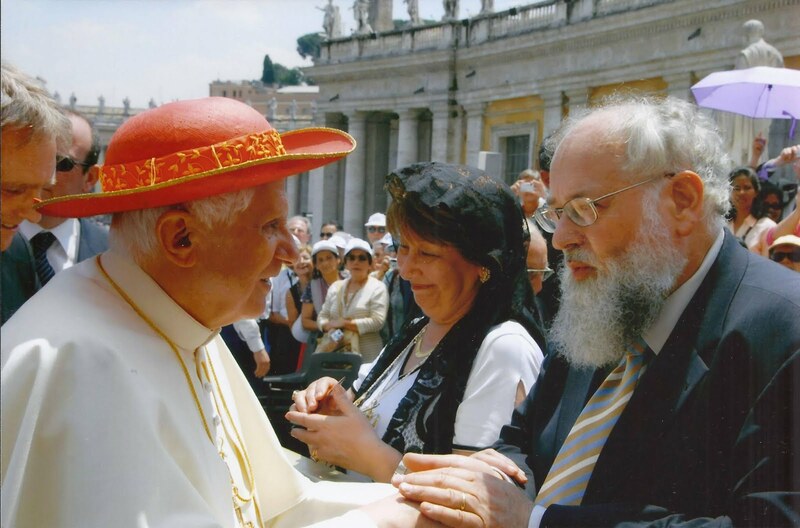 Former Acting President of the Federation, Mr. Jack Oostveen, learns from Pope Benedict XVI about the forthcoming “universal indult” that turned out to be motu proprio Summorum Pontificum. 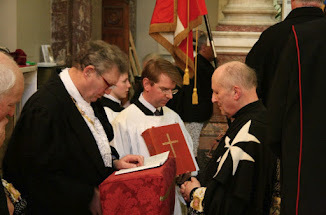 Former President of the Federation, Fra' Fredrik Crichton-Stuart (of the family of the Most Honourable the Marquess of Bute, Scotland), on right, at his installation as Grand Prior of England of the Sovereign Military and Hospitaller Order of Jerusalem, Rhodes and Malta, by the Grand Master of the Order, in the traditional Roman rite. Mr Michael Davies, the great Welsh-born traditional Catholic author and lecturer, and former President of the International Una Voce Federation, speaking at a General Assembly of the Federation when President. 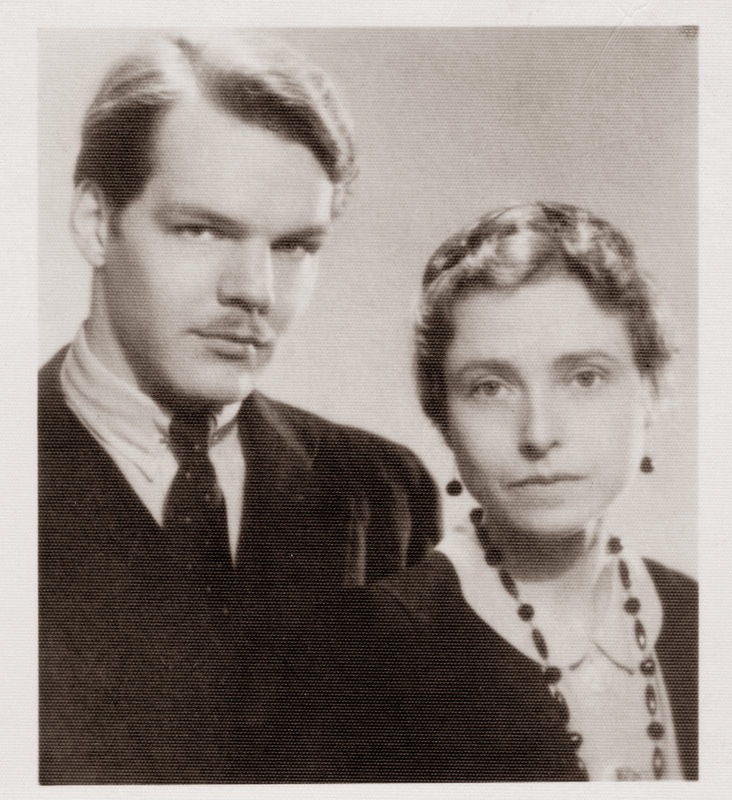 Dr Erich Vermehren de Saventhem, the founding President of the International Una Voce Federation (after His Serene Highness Duke Filippo Caffarelli had been interim President), and his wife, Elizabeth, born Countess von Plettenburg, in the 1940s. 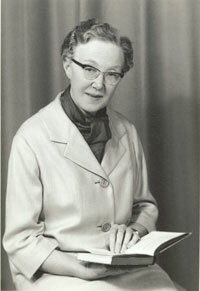 In 1964, Dr Borghild Krane, an eminent psychologist in Norway, sent out an appeal to concerned Catholics to group together in defence of the Church's liturgical heritage. As a result of that appeal a number of national associations came into being in 1964-65. The first interim President of the nascent and inchoate Federation was His Serene Highness Duke Filippo Caffarelli. 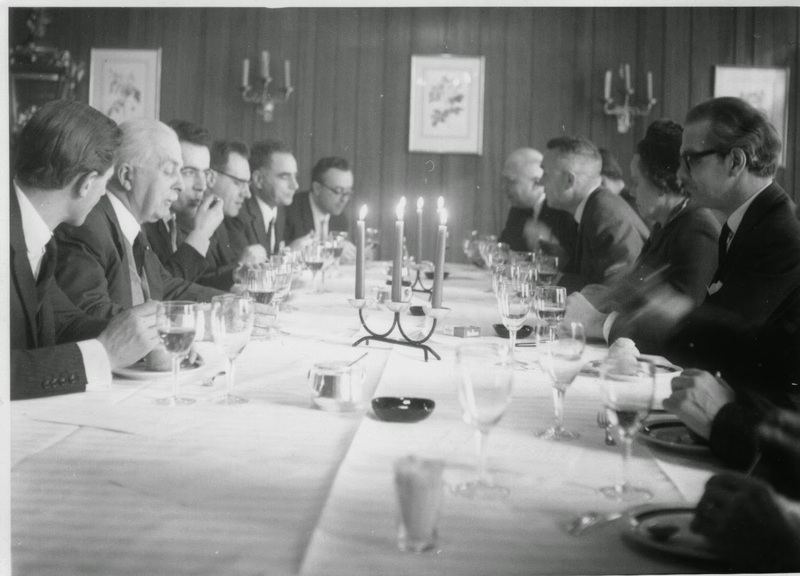 Delegates from six European associations met in Rome early in 1965 and the International Federation was formally erected in Zurich on 8 January 1967. Delegates from 20 associations approved the draft statutes and elected the first Council and a new President, Dr Erich Vermehren de Saventhem. 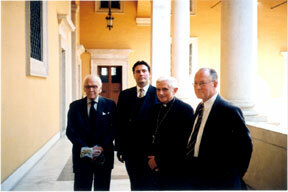 Former presidents of the Federation meet His Eminence Cardinal Josef Ratzinger (later His Holiness Pope Benedict XVI), in Rome: (left to right) Dr Erich De Saventhem, Herr Ralf Siebenbuerger, Cardinal Ratzinger, Mr Michael Davies. 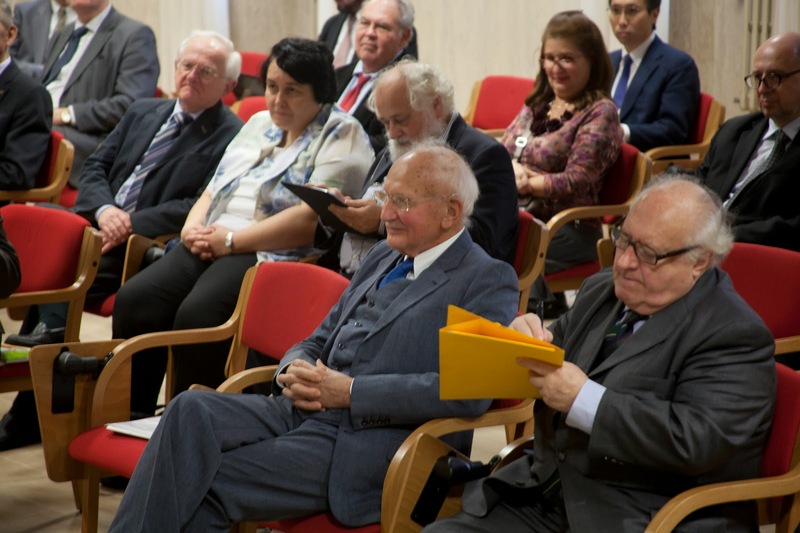 At the General Assembly of the Federation: in the foreground, two Presidents of Honour, His Excellency Dr Helmut Ruckriegel, former German Ambassador to Ireland, and M. Jacques Dhaussy (right), former President of Una Voce France. 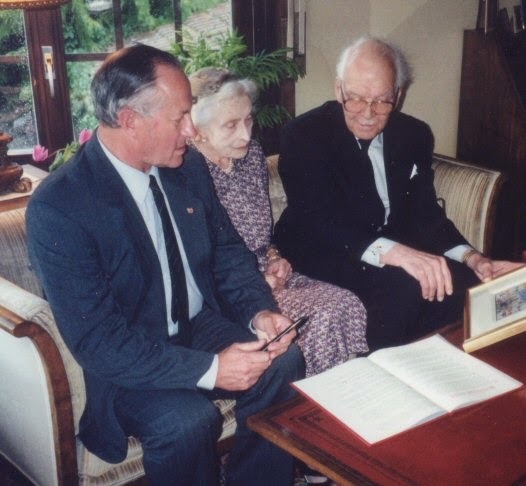 The Founding President (after interim President His Serene Highness Duke Filippo Caffarelli) of the International Una Voce Federation, Dr Erich Vermehren de Saventhem, and his wife Elizabeth, born Countess von Plettenberg, together with Mr Michael Davies, the great Traditionalist Catholic author and later President of the Federation. 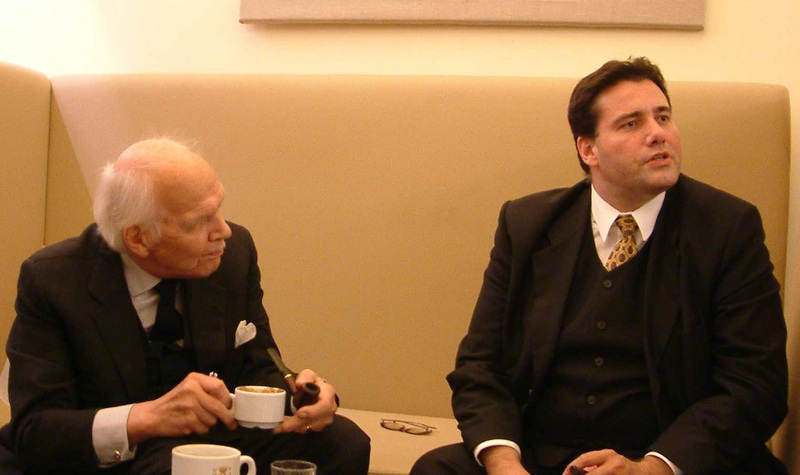 Professor Count Neri Capponi, Advocate of the Holy Roman Signatura, and President of Honour of the International Una Voce Federation, speaks at the General Assembly of the FIUV in Rome, 2001. The first formal meeting of the International Una Voce Federation takes place at Zurich in 1967 and elects Dr Erich Vermehren de Saventhem as founding President.